Every century – every decade – has its great rogues. I wanted to make Louis Beauregard one of them. In order to do so, I had to investigate the type. Not being a fan of romantic fiction, where I gather the rogue is a favourite character, I sought them out elsewhere. And of course, this being a story about a gentleman, I disregarded female rogues, of which there are quite a few. 1) The Count of Monte Cristo – not a conventional rogue, as he’s driven by revenge. Nonetheless in the course of his ravages he succeeds in escaping from prison, ruining a bank, starting a run on the stock exchange, impersonating a priest, poisoning the young fiancée of a good friend, consorting with Italian bandits, corrupting a public servant, bribery, slave-buying, seduction, ruining the reputation of a prominent war veteran and destroying the marriage of the only woman he loves. 2) Flashman – created by George Macdonald Fraser as a spin-off from Tom Brown’s Schooldays, Flashman is the epitome of dash. Rapacious, greedy, risk-taking, cowardly, a braggart and a snob, a man who swindles everyone he knows and chases womankind to the brink of insanity. 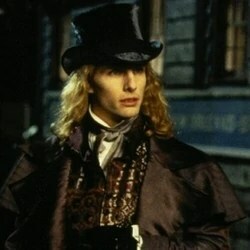 3) Lestat – Ann Rice is a genius, and Lestat is a rogue of the highest order. A vampire of long-standing by the time he appears in Interview With The Vampire, he drinks human blood, kills his mentor, destroys his best friend and his adopted daughter, drives too fast, mocks those who care for him, lives on the edge of danger and never truly dies. 4) Byron – the original Mad Bad and Dangerous To Know. With Shelley and Coleridge, one of the Romantic period’s great poets. Asthmatic, aristocratic, lived on the lake with Mary Shelley and John Polidori on the night Frankenstein was created. Fought duels, gambled his fortune without caution, dabbled in the occult. Ran away to Greece to fight in their War of Independence against the Ottoman Empire (nowadays we’d call him a terrorist) and destroyed his health with wine and laudanum and high living to die of fever at the age of 36. 5) George IV, Prince Regent – the man who spawned a nursery rhyme (“Georgie-porgie pudding and pie, kissed the girls and made them cry”) and became one of Britain’s most unpopular monarchs. George IV lived a life of excess that marked his reign as the end of the Age of Libertines. Mocked in Blackadder III as a “thickie”, George took over the throne from his father, the mad King George III, and proceeded to bankrupt the monarchy by speculating on the stock market, adultery, throwing immense parties and showing blatant disregard for Church and State. Five mischievous men to act as blueprints for Louis Beauregard. Still, after looking at all those mischievous characters, I had to ask. What’s the most important part of a rogue’s character? Apart from the fascination of watching someone needy make a car-crash of their lives, what makes an ordinary miscreant into a rogue? A true rogue brings his friends down with him. Then goes off to find other friends. Next post in the SHADOWBOX series: Who’s Who in my story.